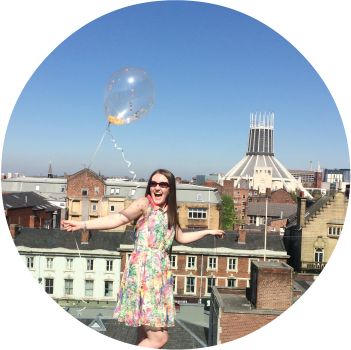 When it comes to wedding planning, it’s not all wedding dresses and decorations, there’s the ever important, slightly fancier than usual trip that comes after you say ‘I do’. From tin cans tied to the back of the car to those cheesy matching Mr and Mrs passport covers that we all secretly love, the honeymoon from start to finish really should be a trip to remember. It’s not just a holiday, it’s the adventure that starts the adventure of your lives together. Let’s come away from the traditional adults only Sandals resorts and island hopping in far off lands for a minute and talk about a magical memory making trip we can take right here, on our own Great British Isle. 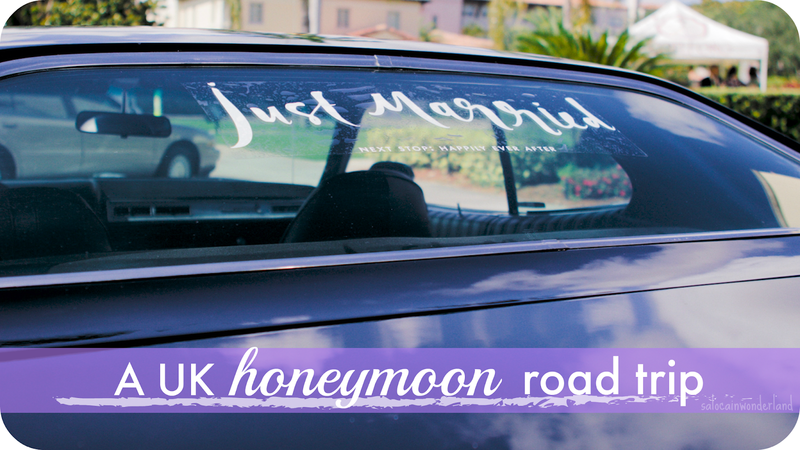 Before you go spraying just married across the back windscreen, you’re going to want to check your tyres at kwik-fit because we’re off on the Great British Honeymoon road trip! As excited as you might be about your Honeymoon road trip around the UK, there’s a few things to bare in mind before you put the key in the ignition. Think of this as the inflight safety instructions before your plane takes off. One of the biggest things to cause an accident on UK roads and motorways is people not being aware of stopping distances. The average speed limit in the UK is 30mph. If you have to make a sudden, emergency stop, it takes 23m for the car to come to a standstill - and if it’s raining? It can take twice the distance to stop. If you’re driving in the winter, it can take up to ten times the distance to stop on an icy road. That’s just at 30mph - think about what that all means if you’re travelling at 40mph? 60mph? 70mph? Our country is a beautiful one, take time getting to every destination on your road trip - it’s not a road race! Drive slowly - drive safely! There’s no point racing ahead to each destination on your itinerary, not if it ends up cutting your trip short or worse. Honeymoon road trip stops to make! I’m no map reader, even Google Maps confuses me sometimes but if I were to take a road trip honeymoon, I would love to head towards and explore Scotland a lot. There are some amazing itineraries out there showcasing the best of the highlands, quintessential villages and all the rolling green hills your literary heart could wish for. With the Mr being a bit of a golfer, there are also some amazing golf and spa resorts along the way that I think we’d both enjoy stopping at! We’d grab the train up to Edinburgh, and go from there, jumping in our rental car and heading towards Cairngorms National Park - they have free roaming reindeer! It would then be onto Loch Ness because can you ever say you’ve been to Scotland if you haven’t gone hunting for Nessie? Heading toward Mallaig means we can then hop the ferry over to Isle of Skye - I mean if this isn’t the most picturesque spot on the trip I don’t know what would be! Glencoe would be our next stop - there’s a lot of links back to our family history in Glencoe so I think it would be a really interesting place to stop! Last but not least, we would find our way down to Glasgow - fun fact, I’ve spent about 2 hours in Glasgow, one was in the Asda, the other was being very lost trying to get out of Glasgow, so it would be nice to what else Glasgow has to offer! If you were to take a road trip honeymoon somewhere in the UK, where would you go? *This post is a collaboration, all thoughts, opinions and dreams of Scotland are my own. For more information please see my disclaimer policy. I plan to go on a road trip in Scotland this summer. It should be amazing. I've been to Edinburgh, but this time we plan to go further north.